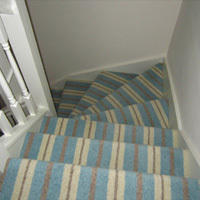 Stripe carpet is charging on with its comeback and getting more and more popular as 2011 continues. 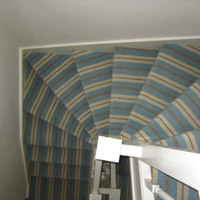 It started making its comeback late 2010 and has continued on through 2011. 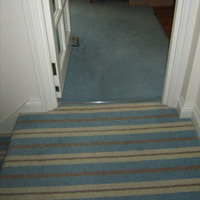 The Gaskell 100% wool carpet was fitted in a town house overlooking the river in Arundel. 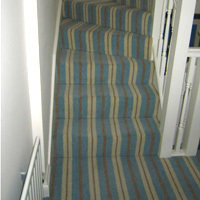 Our customer wanted the Neopolitan stripe for the stairs and landing. 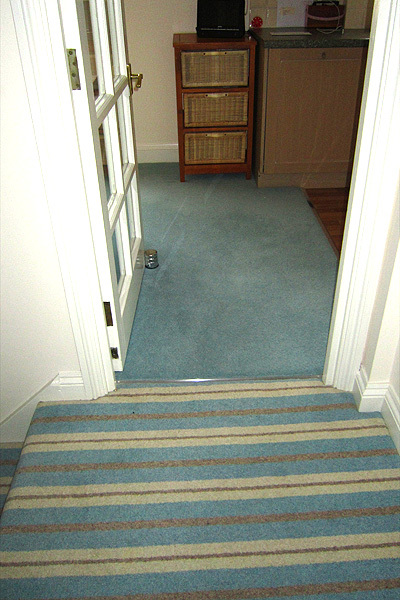 For the lounge, Gaskell's Neapolitan Plains was used to compliment the stripe carpet perfectly. 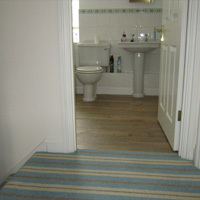 Underneath the carpet an excellent quality underlay was fitted underneath to make it extra comfortable under foot. 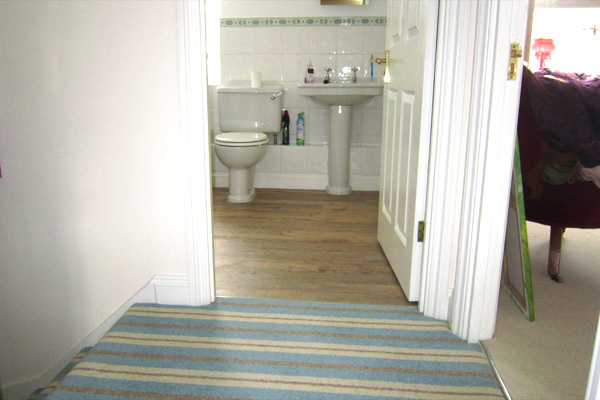 Our customer chose Kardean Knightile 'Artic Driftwood' which was laid on 6mm ply and was installed in the bathrooms and shower rooms. 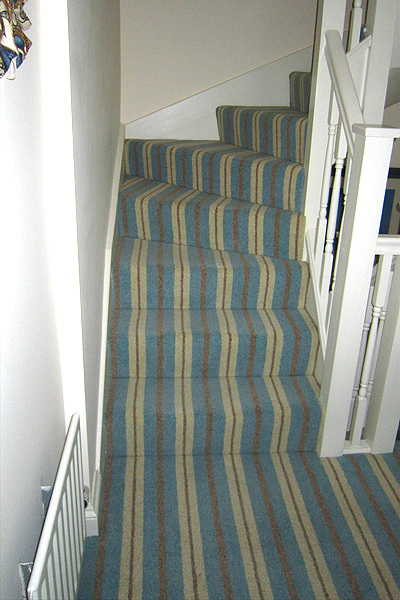 Gaskell's Neopolitan stripe was fitted on the stairs and landing. 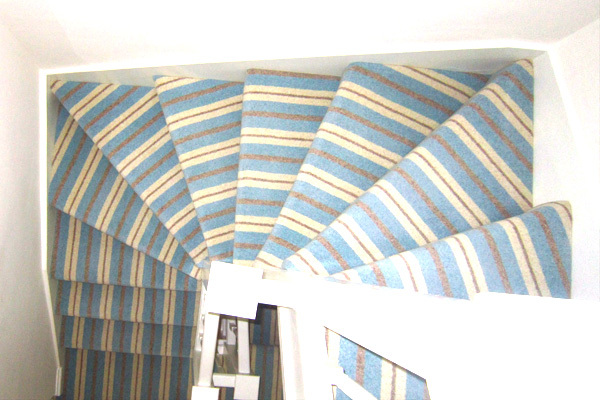 Gaskell's Gaskells Neopolitan stripe was fitted on the stairs and landing. 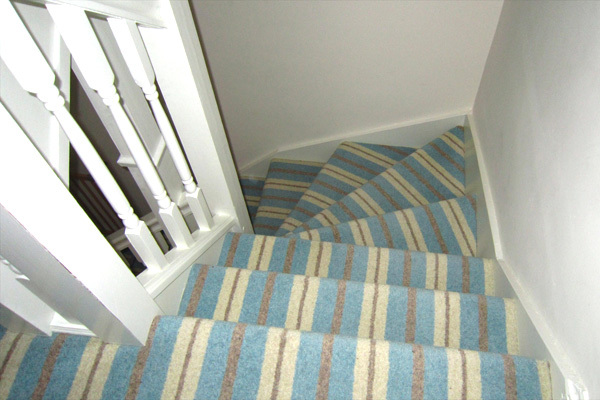 Gaskell's Neopolitan stripe was fitted on the stairs and landing. Gaskell's Neapolitan Plains was laid in the lounge.